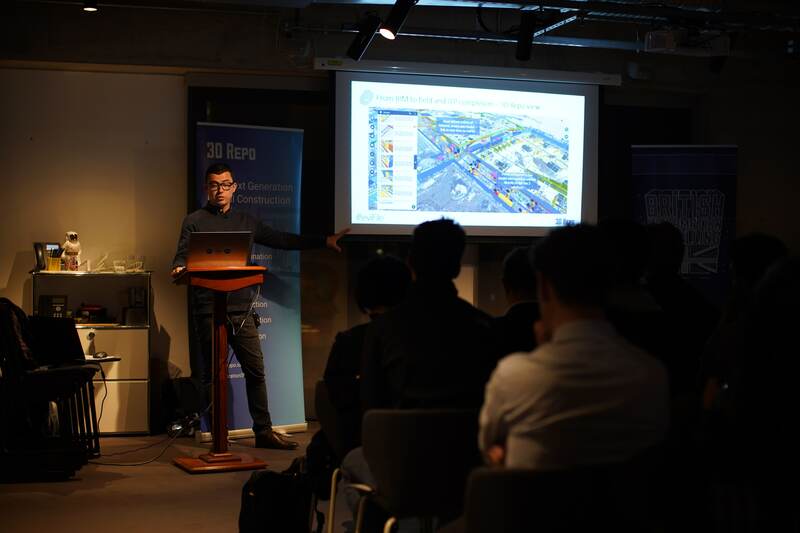 On Wednesday 20th March 3D Repo hosted their 7th British Information Modelling event at King’s Cross, London. 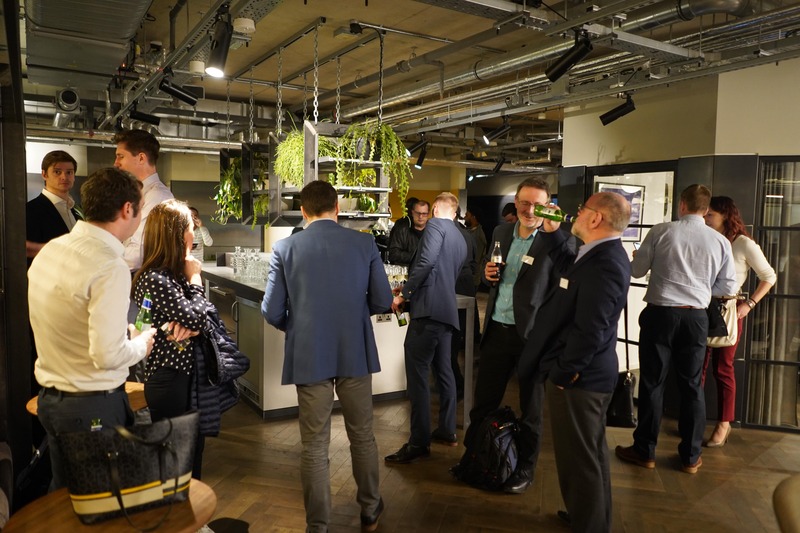 We welcomed over 60 guests from across the industry to hear from an amazing line-up of speakers talking about industry issues, innovation, and to see some of the latest technology. 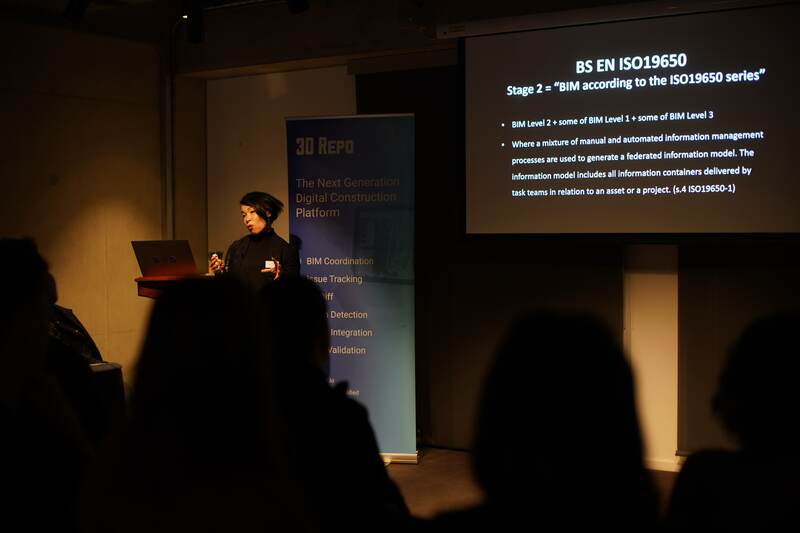 Our host for the night, May Winfield welcomed our 60+ guests in to the room before giving a presentation of her own on the impact of BS EN ISO19650. Next up was Phil Langley from Bryden Wood who spoke about custom tool development at Bryden Wood including live BIM navigation with mobile and AR, creating apps for automated design, interactive dashboards, and some great use case studies. 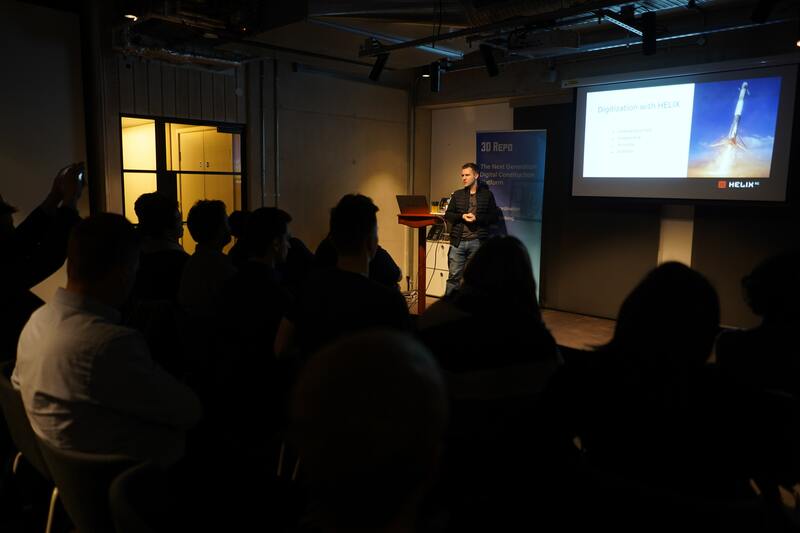 Matthew Osment from XDCS spoke to our audience about custom integrations and workflows for AEC., and the importance of using structured data vs. blobs. 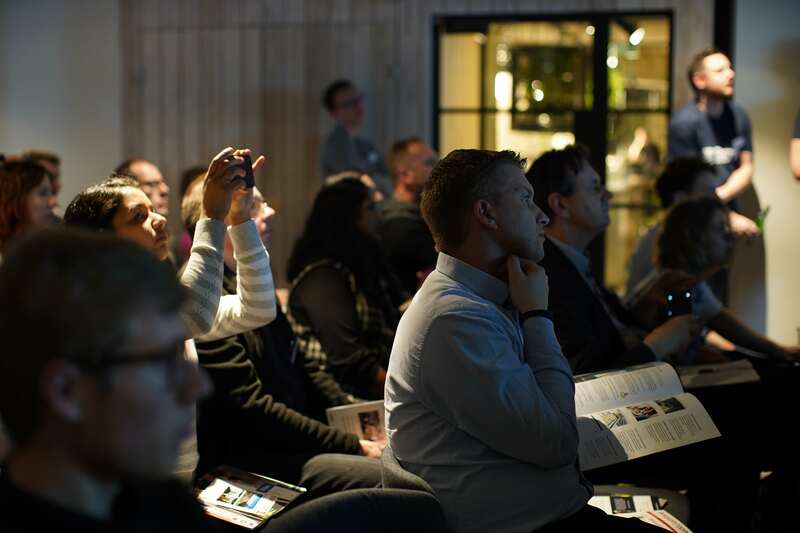 Blobs have limited sharing capabilities, are at risk of cross project transfer loss, and are prone to duplication. Matthew also warned against turning blobs into structured data creating “polished blobs”. 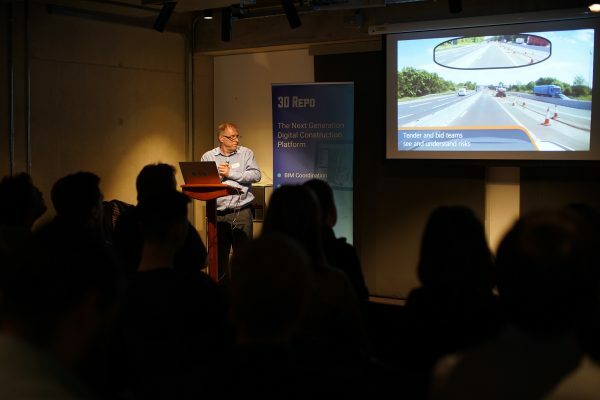 Our very own Bogdan Davydov, BIM Specialist at 3D Repo revealed our new top secret feature (along with a list of others being released very shortly!). 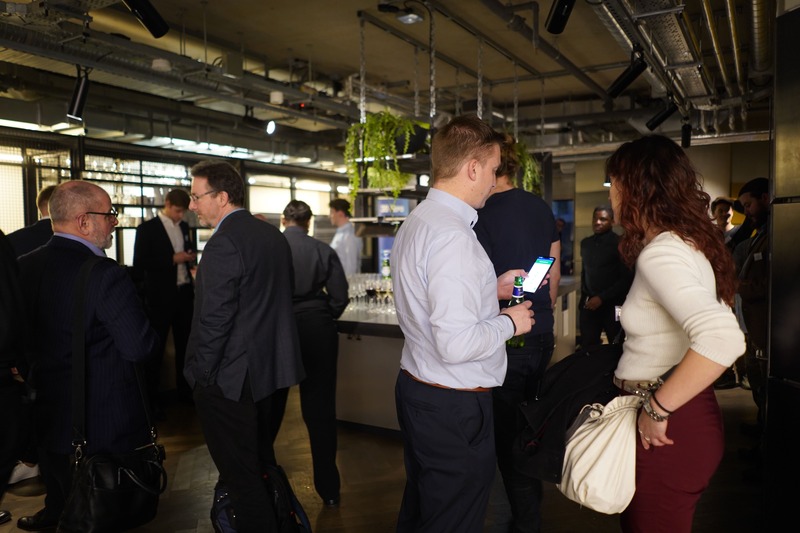 One of our newest partners, Mission Room was also at the event, bringing with them their highly immersive Missions Explorer technology. Mission Explorer software combines panoramic images, maps and multimedia to bring your site within reach and put information into context, all from the safety and convenience of your office. Allowing you to navigate, annotate and mark-up features and hazards, then quickly create and share works packs across the business. 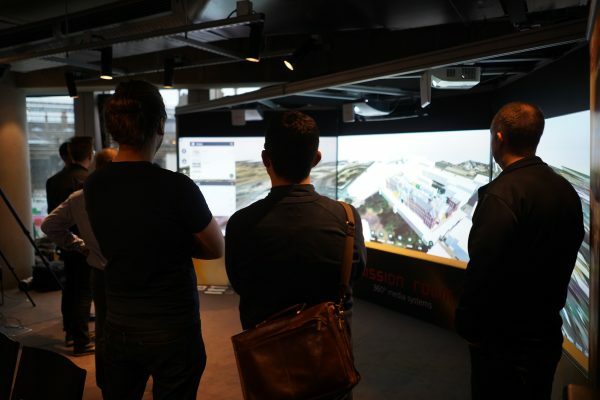 Our audience was able to view projects on the 3D Repo platform using the touch screen technology provided by Mission Room. 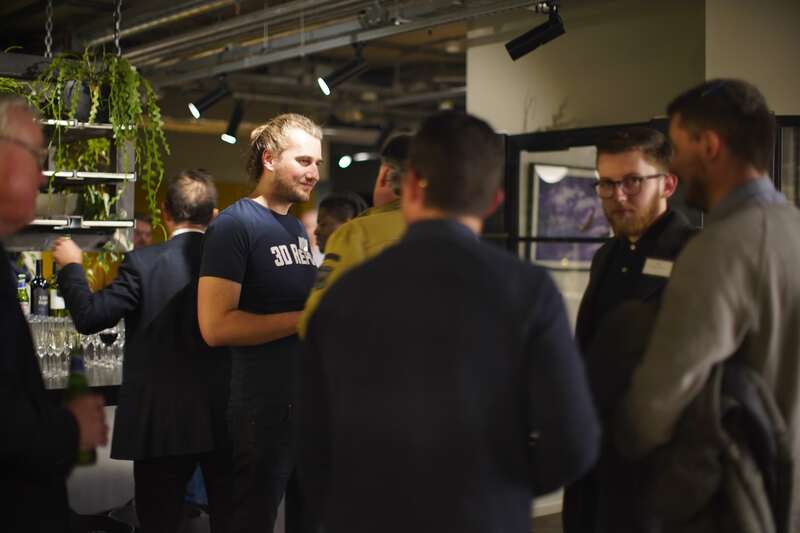 Director Bryan Denby was there on the night to speak about their technology. 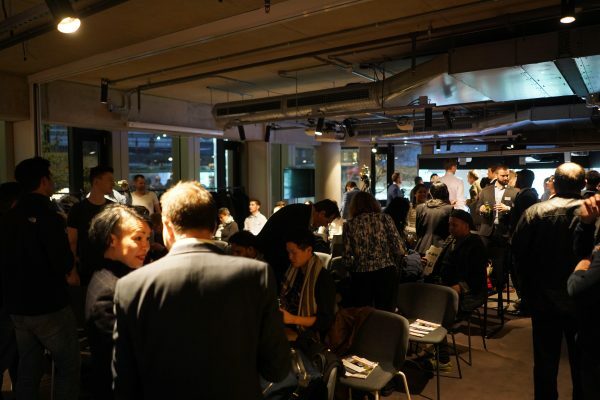 Contact Mission Room for further information on their innovative products. 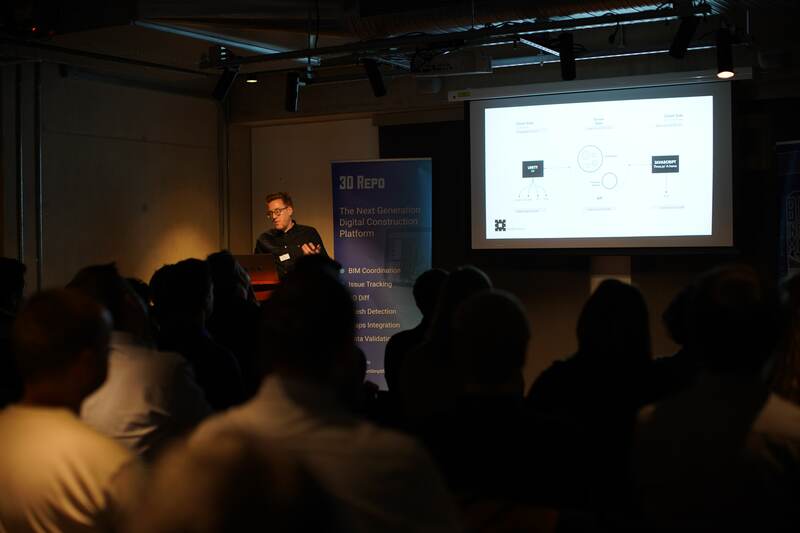 Luke Allen from eviFile, another new partner for 3D Repo was there to speak to the audience about a new digital evidence standard for field data collection and reporting, that preserves and authenticates a visible chain of digital evidence. 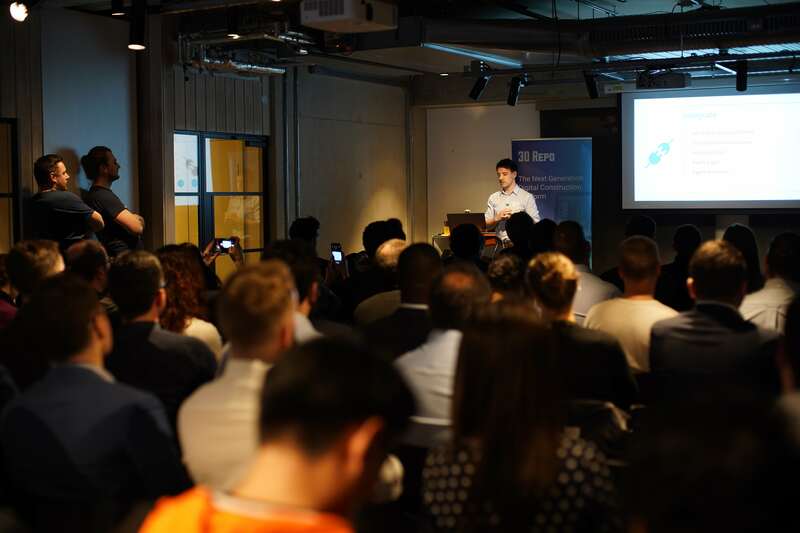 A popular presentation with the audience, Luke demonstrated an integration with 3D Repo on a use case with John F Hunt. 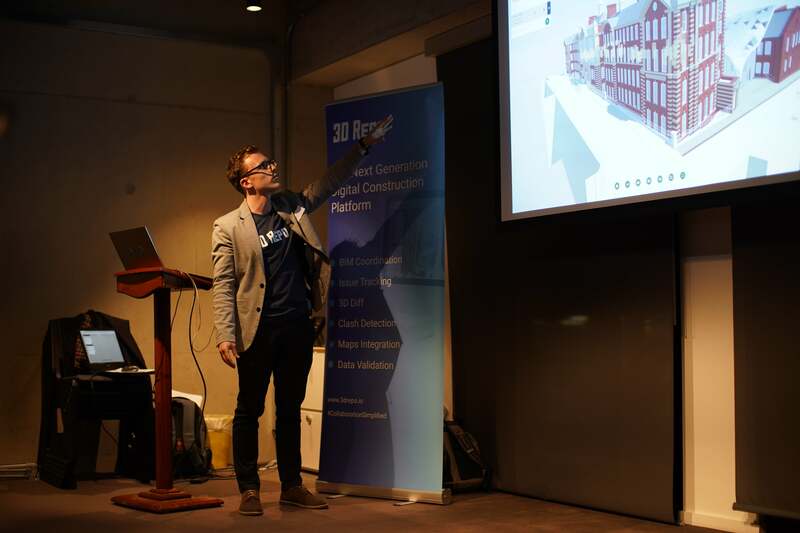 To round out individual presentations we had a special guest from HELIX RE (formerly Flux Data), Anthony Buckley-Thorpe who revealed for the first time publicly about the focus at HELIX, and their mission to create digital twins of existing buildings with scalability. 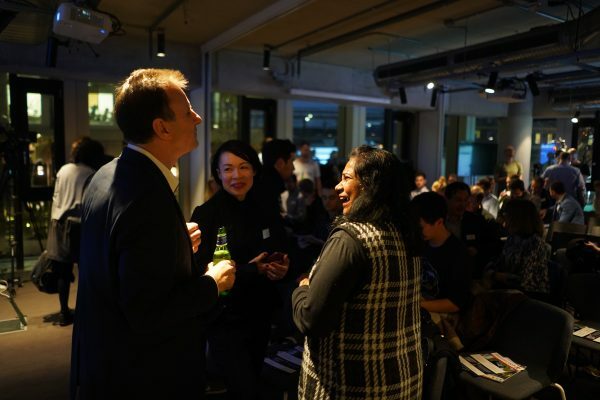 Our host, May invited all of our speakers to return to the stage to take on questions from the audience before food and drinks were served while people had the chance to networking with others from the industry, our speakers, and the 3D Repo team. 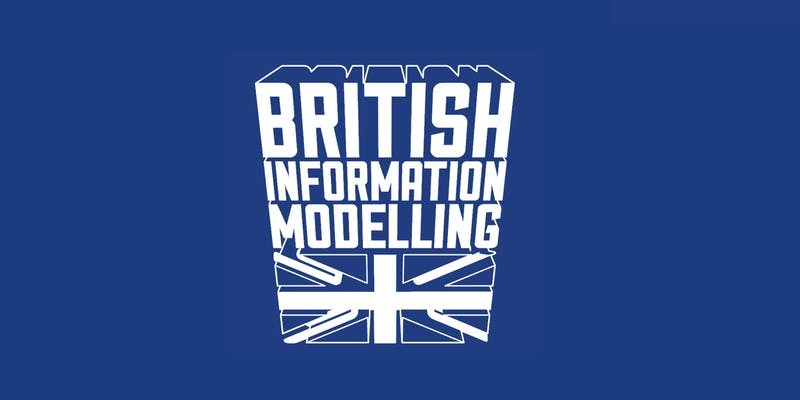 This was certainly one of the best British Information Modelling events we have been involved with and we’re looking forward to the next one. Make sure you subscribe to our newsletter below so you can be the first to find out when our next event is.